30 Days of Christmas, Day 4! What says Christmas Sweets more than Peppermint Swirl? That swirl is what we are featuring today for out 30 Days of Christmas Card. 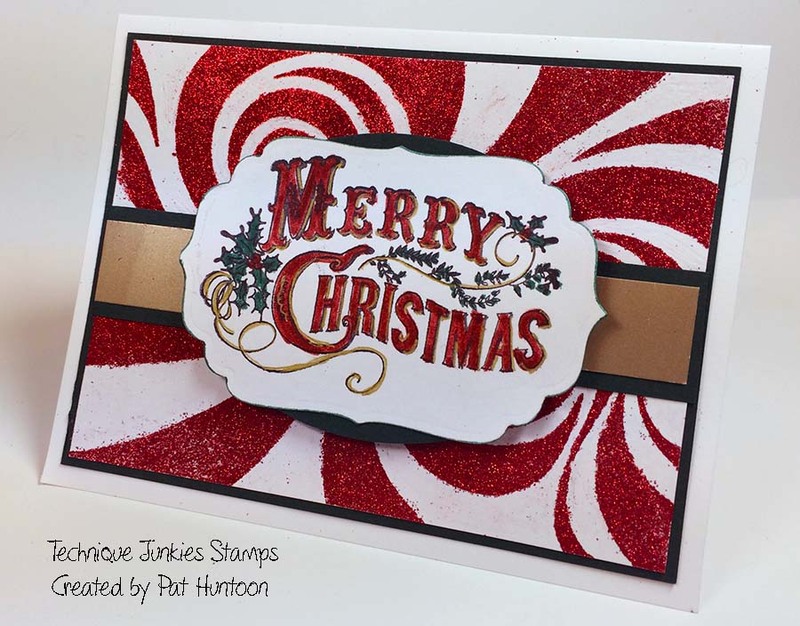 This card uses the new Peppermint Swirl Background Stamp with the Merry Christmas Sentiment for your creative inspiration. 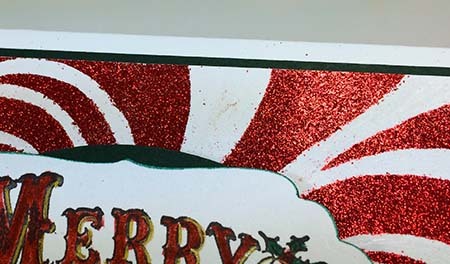 To make this card, the Peppermint Swirl image was stamped with VersaMark, then covered with Stamp and Stick Powder, and heat embossed. Red glitter was burnished and heated into it to set it. The sentiment was colored with markers and a gold glitter pen before being layered onto the Peppermint Swirl and the background cardstock layers. Remember that all of the Christmas stamps, including the two used here, are 20% off on www.techniquejunkies.com by using the work Christmas at checkout.